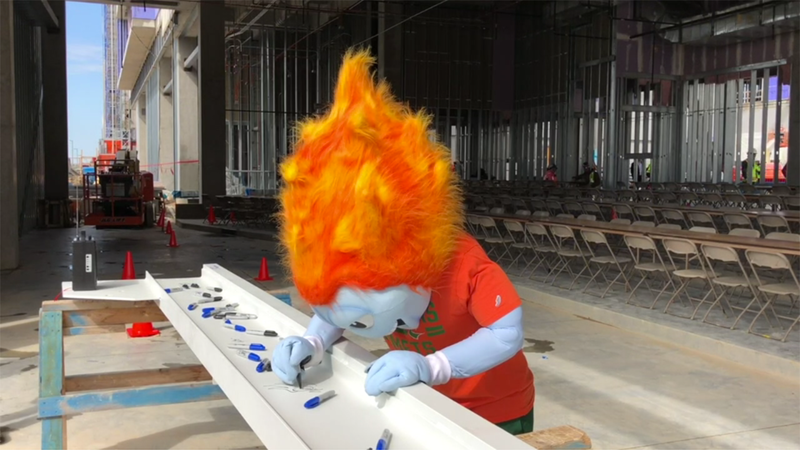 The UT Dallas community and our construction partners celebrated an important milestone in the construction of the new Engineering Building by signing the final roof beam before it was set in place. Once completed, this facility will help the University accommodate the rapid growth in its engineering programs and increase its externally-funded research capabilities. It will primarily house the Mechanical Engineering Department, and will contain research and teaching labs, faculty offices, student workspaces, and the 300-seat Alexander Clark auditorium.